Training has become a potpourri of opportunities with technology playing a big role in its evolution. The Internet has been a game-changer with the convenience and cost savings of online resources making training resources as close as your favorite easy chair. For the HTM professional, the variety and variations of training resources is expansive and comes in many stripes. From OEM and third-party offerings, in-house to fortuitous share-the-knowledge opportunities, conference training to the aforementioned online opportunities, the choices are numerous. The factors that seem to drive the decision process are often budget, convenience, depth, and the availability of things like manuals, a keypass or passwords. There are as many opinions about what source of training is best as there are resources for training. Different approaches to training are favored for different types of equipment and the cost of the different forms of training begs the question; where do you get the most bang for your buck? The choice of which route to take for any given HTM department is a judicious one that considers cost, practicality and availability. There tends to be some consistency in the reasoning and rationale for choosing one source or another among HTM leadership. Variables are often the experience of a department’s technicians and engineers, budgetary concerns, negotiated contracts and the modalities for which training is required. “The option of OEM training versus ISO training is dependent on the equipment and the experience of the engineer going to training and budget constraints for implementing the training. For equipment, where service keys or software is required and only provided to OEM-trained engineers, it is best to seek that training from the OEM and work to reduce your training costs,” says Rob Bundick, manager of HTM and biomedical engineering at ProHealth Care in Waukesha, Wisconsin. “OEM training is typically more expensive, but the costs can be reduced by partnering with them at the time of purchase, or by developing service options that allow for training at a discount,” Bundick adds. The OEM route may be the only option for newer systems, says Rick Walston, regional director of clinical engineering services at Adventist Health in St. Helena, California. “For systems that have been on the market for a while, the third-party companies in this industry have done a pretty good job teaching a tech pretty much everything they need to know,” he says. “We use both the manufacturer and ISOs for training. It depends on the modality that you need training on. Manufacturers tend to have good training on their products, where ISOs might cover multiple manufacturers during training. We also cross train our own technicians from those who attended training,” says Douglas Dreps, MBA, director of eastern regional operations-clinical engineering services for Mercy Health in St. Louis, Missouri. “Sometimes the OEM training goes just far enough to allow a service technician the ability to perform standard PM/calibrations, but not deep enough to troubleshoot the more difficult problems,” says Mike Busdicker, MBA, CHTM, system director of clinical engineering for Intermountain Healthcare. He adds that when it comes to the higher end equipment like CT, MR, and lab analyzers, he believes that there is a need for specialized training. Christopher Nowak, CBET, CHP, CSCS, corporate senior director of healthcare technology management at Universal Health Services of Delaware Inc. in King of Prussia, Pennsylvania, says that his department uses a combination of OEM and third-party education. Parsing the training/equipment paradigm further reveals that there are some preferences in choosing one mode of training over another. “The OEM education seems to work well for us for technologies such as patient monitoring, anesthesia systems, laboratory equipment, nurse call and other type systems. Third-party education seems to work well for the imaging systems that we support,” Nowak says. He says that from time-to-time, his department does use OEM service education on imaging gear, but that it is does not occur very frequently. He also says that there are medical devices that can be serviced through self-education. Bundick says that training opportunities also need to consider the skill level of the participating biomeds. “For equipment that does not require OEM training for service keys or software, the ISO training is a viable option. The consideration of the engineer’s experience should be factored into training, selecting the appropriate class though,” Bundick says. “Most ISOs provide both entry-level training and [a] more advanced-level training for equipment. The key is selecting the right class for the engineer to get the best value out of the training,” he adds. From a purely return on investment (ROI) perspective, the decision-making process becomes more narrowed. “By far, the better ROI is with third parties because their cost is usually around one-quarter to one-third the cost of OEM tuition cost,” Walston says. 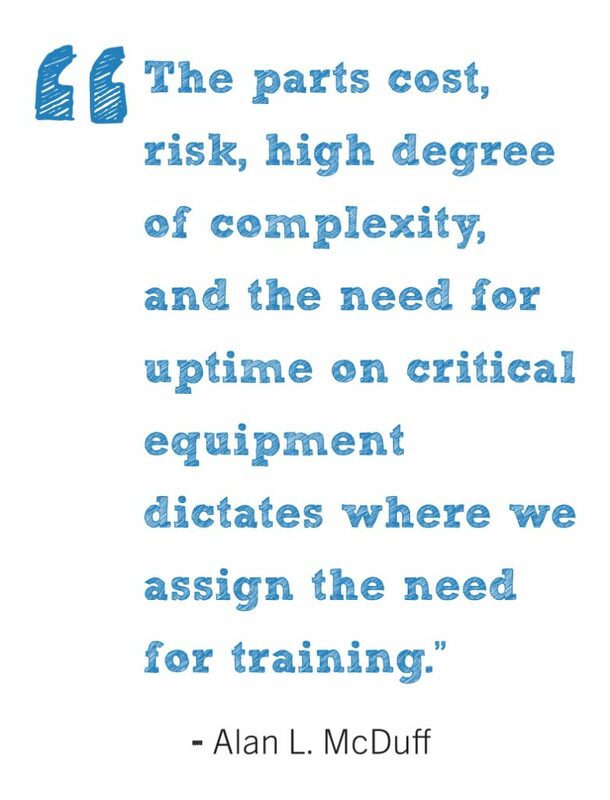 “The parts cost, risk, high degree of complexity, and the need for uptime on critical equipment dictates where we assign the need for training,” says Alan L. McDuff, manager of imaging equipment specialists at DCH Regional Medical Center. “Above all, having trained personnel in-house, on site is the determining factor to maintain uptime. uptime is all the director of radiology, cardiology, and cancer center want,” he adds. Feedback from biomed leaders make clear that there is an important place for the third-party provider in the training equation. They fill a strategic role in targeted training with an eye on ROI. “Taught from biomed/field service perspective, we place a high priority on hands-on training. When a student leaves our training they are confident in performing their ultrasound PM, repair and evaluation duties,” he adds. Offering more than 50 unique courses spanning nearly every imaging modality, AllParts focuses on spending time in the lab troubleshooting. Gerler says that the leveraging of technology to provide remote training, learning and support is a trend and what he sees for training in the future. “AllParts is developing real-time, remote-based training that is delivered by an instructor. This is supported by webcam streaming video of the system, a participant Q&A, and a quiz to verify understanding of the material,” Gerler adds. Kyle Grozelle, manager of global education and training at Summit Imaging, says that his company approaches training based on thinking of medical devices as computers. Dale Cover Jr., president and COO of Radiological Service Training Institute (RSTI) believes that the hands-on approach is going to endure despite advances in distance learning,. “At some point, there may be some breakthroughs in virtual reality that could change how training can be delivered. Sooner or later you still have to lay hands on hardware. If you are performing lab functions at your own facility, without an instructor there to guide you and have problems with the process, you may leave a system non-functional and fixing it may require a level of expertise you have yet to acquire,” Cover says. “The student has the opportunity to be completely immersed in the training by attending classes at our unmatched training facility. This reduces the day-to-day distractions they may encounter at their workplace and allows them to concentrate on the learning objectives,” Cover says. Robert Bell, director of education, Tri-Imaging Solutions also bcks a hands-on approach to training. “While books, powerpoint, and lectures are a necessary evil, we also know the value of continuous relating of the classroom material reinforced by the laboratory work,” Bell says. Online resources are also an important tool when it comes to training. In looking to the future, Jeremy Probst, chief operating officer at Technical Prospects sees a combination of both approaches. Software, and the interpretation of that software, will factor into changes on the horizon, according to Grozelle. Rickner says that one change he has seen at Conquest in recent years is centered on operating systems. “The industry has moved away from a board-based system, using numerous circuit boards, to using a WindowsT-based computer interfaced with minimal circuit boards. In many ways this has simplified troubleshooting techniques, but has introduced proprietary restrictions. We teach solutions and work-arounds that do not violate intellectual propriety laws,” Rickner adds. For many, there are precise reasons they go to the OEM for training. Those reasons can include service keys or software, but also stipulations outlined in contracts. The OEMs are responding to the needs of the market along with embracing the latest technology for simulated training. The experience allows technicians to provide cross training to the rest of the team. “We offer two training options to in-house equipment service professionals. First, they may join the same classes our GE service professionals take at the GE Healthcare Institute in Wisconsin. We value the exchange of talent between in-house and GE service professionals. Secondly, they may choose to learn at their site using our simulation technology for CT, MR and vascular equipment,” says Art Larson, general manager of global services training at GE Healthcare. “Regardless of choice, we are looking at ways to integrate a blended learning approach through hands-on experience simulation during a course, as well as performance support following completion of a course,” Larson adds. Larson says that the advent of higher tech approaches to training have been favorably received. “They appreciate the flexibility of offering training in multiple locations. Beyond initial learning, the concept of using the technology to reinforce behaviors and practice specific procedures has been invaluable,” he says. Since retention is a critical part of learning new skills, he says that a combination approach helps. “Probably the biggest advantage for us has been the ability to blend our teaching curriculum to exercise multiple teaching methods for the student and the instructor. The combination of in-class training, simulation, and post-course performance support has proven to help the student remember and retain vital learning,” Larson explains. Simulation training is an area that has transformed training methodologies. GE has invested in this approach and partnered with their engineer’s 3D CAD drawings to simulate the structure of their systems. Gaming technology comes into play to allow students to experience the interaction as if it is real. Siemens Healthineers tries to tailor training to the needs of the customer. Training is a part of a new service-offering portfolio that approaches the customer base holistically. The approach supports the growth of a biomed department’s program. 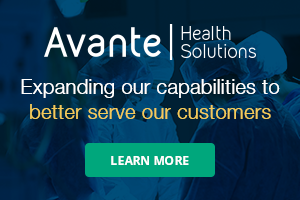 “Because of the consolidation in health care, we’re seeing more of these larger organizations build their in-house biomed programs to do some of the first-line and second-line service on their imaging equipment,” says Edgar Alvarez, director of service business management for Siemens Healthineers. The four-pronged approach that Siemens Healthineers uses, according to Alvarez, includes staff development, standardization, optimizing service delivery and facilitating enterprise growth. Siemens has officially unveiled their new approach. What is new in the delivery of their approach is a 360-degree monitoring process. Siemens Healthineers asks biomed departments the same question that we asked biomed leadership; how are you segmenting your in-house training? What are the needs of someone in the ER versus someone in radiology? The company will map out an approach for each customer depending on their needs. Siemens Healthineers has a program that provides training required to ensure successful implementation of the customer’s plan. Alvarez says that in the future, there could be a product similar to Google Glass that allows the engineers at Siemens Healthineers to see what the biomed tech sees. There are a couple of business units at Siemens looking into this technology. Training for those in the HTM and imaging profession may be one of the best examples of free-market solutions. 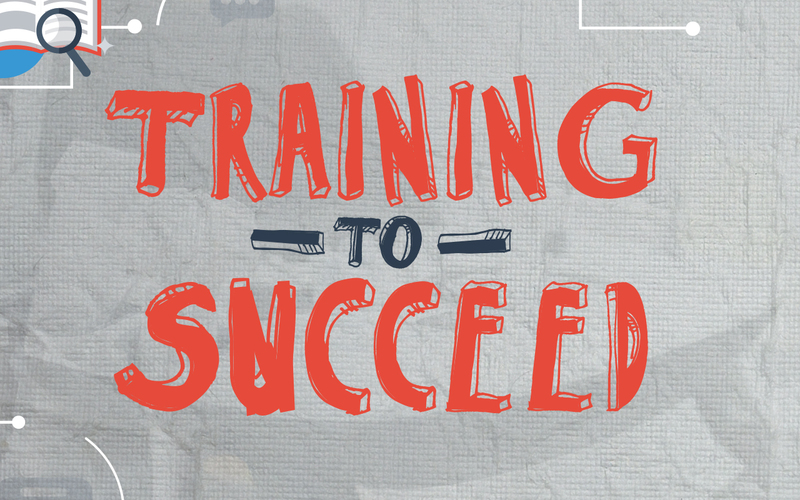 The avenues for training are plentiful and the quality of training is top-notch. As the market gets more competitive, the value of training can be more tailored to the needs of any HTM department. In the end, a well-trained department can take on the challenges of a wide variety of products. “Through use of the operator and service documentation, including video resources, a well qualified healthcare technology management professional can service a large variety of medical devices including imaging and laboratory gear,” Nowak says. “To have a viable in-house service team, the level of expertise is essential. It is a continuous training process that will never come to completion,” McDuff adds. As in any profession, it is personal growth that benefits both the individual and their employer, and continuous training is key to growth.